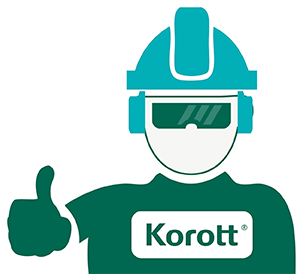 In KOROTT, as specialists in health and well-being, specialization and only the highest quality are the foundation of all our products and processes. Conscious of the talent and experience in our team, we are strongly committed to creating a working experience based on sharing and promoting our passion for science. We work towards the ideal that Passion, Attitude and Commitment are the forces that drive the way we CREATE. Guarantee total safety, maximum quality and the best service with all our products. Offer the best solutions in health and well-being for our clients. Encourage personal growth and improvement in all our employees. With all of this, generate value for society. Our vision is to contribute to society through products that help people maintain a healthy lifestyle and which promote well-being. To improve quality of life and environment through innovation and sustainability. 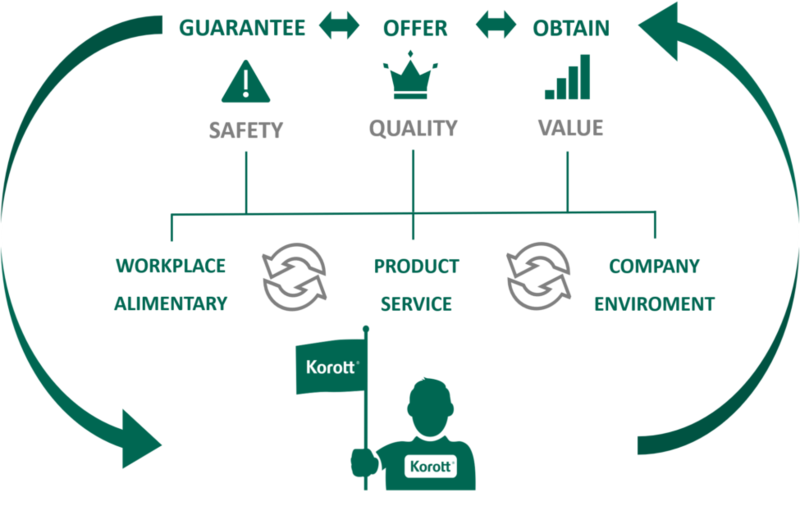 The strategy that we follow in order to work to the three main axes of our company is based on INNOVATION AND WORKING CLOSELY WITH OUR CLIENT, adapting to changing needs and evaluating opportunities and threats in an environment of constant change. Agility and anticipation of the demands of the working environment. Always working towards a healthy, satisfying working environment. Management, training and specialization of human capital.